On behalf of the College of Agricultural, Human, and Natural Resource Sciences I take great pride in congratulating our own Professor Juming Tang for his promotion to the rank of Regents Professor and Scientist in the Department of Biological Systems Engineering effective July 1, 2014. The promotion to Regents Professor recognizes faculty members who reach the highest level of distinction in their disciplines and raise university standards in scholarship, teaching, and public service. Dr. Tang’s record of professional accomplishments is extremely impressive and this promotion acknowledges his outstanding career achievements! 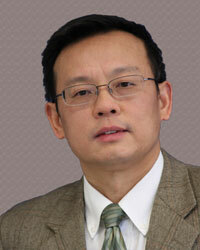 Congratulations to Regents Professor Juming Tang!